Greece has hundreds of inhabited islands most of which are not connected to the main grid due to their distance from mainland. As a result, the Greek Public Power Corporation (PPC) has to manage over 34 medium to small isolated grids with one power station each. These power plants are equipped mostly with 2-stroke and 4-stroke units although several gas turbine units exist in larger islands. Power plant sizes vary and range from just over 100MW down to several KW on some very small and isolated islands. Pressed from the increasingly limited technical personnel in the islands but also from the need to drop operational overheads in order to keep energy prices competitive, the PPC was looking for ways to operate the 34 power plants more efficiently. As such the PPC aimed at changing the operational model and run the power plants though a centralised operational model. Operator shifts & some limited technical personnel would remain at the larger plants while operations would be centralised to save local resources & provide better efficiency. To manage the above, PPC needed a latest technology Generation Management System (GMS) to provide the required information but also the needed control of the power plants. MAS’s GMS system was selected due to its proven track record and the company’s capabilities on advanced solutions for Power & Energy Management systems. After a successful pilot project the new GMS system was rolled out to all the distributed power plants. MAS GMS solution was based on its constantly evolving specialised SCADA platform “ACROSS”. The solution involved the installation of High performance and high availability local GMS systems in each power plant. 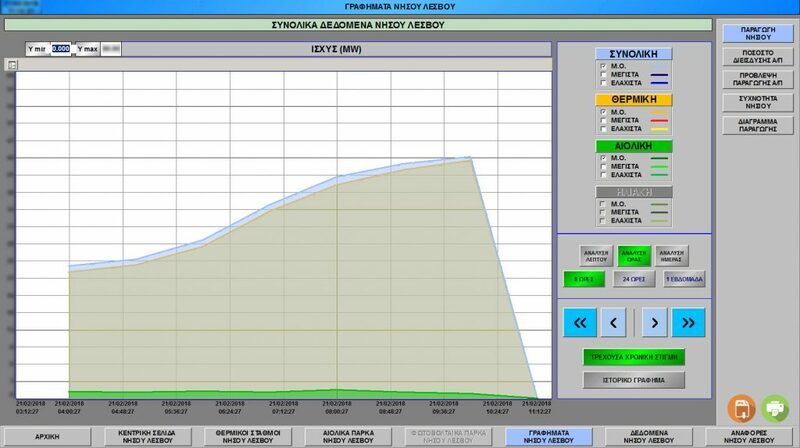 Monitoring and controlling thousands of operational parameters, these systems provided local operators with all the information needed to properly and effectively operate the power plant with limited staff. All local systems were interconnected to form a robust mesh and providing a central control room with the operational parameters of all 34 power plants. RealTime electrical and mechanical data for over 160 units. Overall operational control for 34 power plants. Grid management capabilities for 28 isolated grids. Operational cost calculations & unit optimisation. 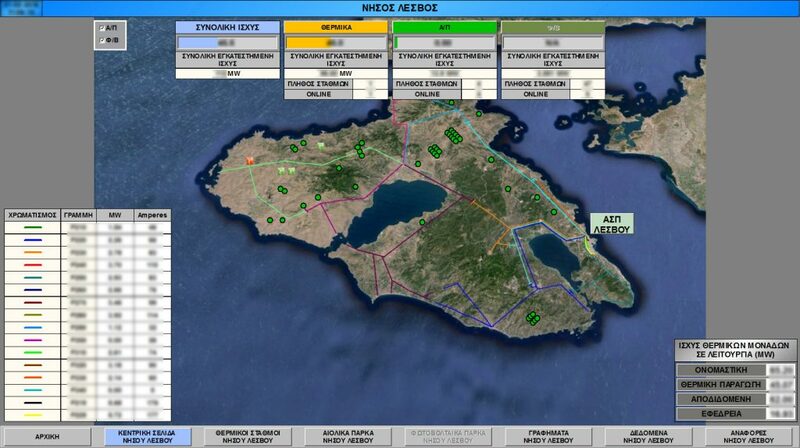 Extensive historical data providing comprehensive operational reports & fault analysis. Proactive alerts to technical staff. The whole project was undertaken by MAS on a turn-key basis and included all needed Engineering, Procurement, Development, Installation and Commissioning services. Today, PPC is able to monitor and control all its power plants located at the islands through a single robust GMS system. 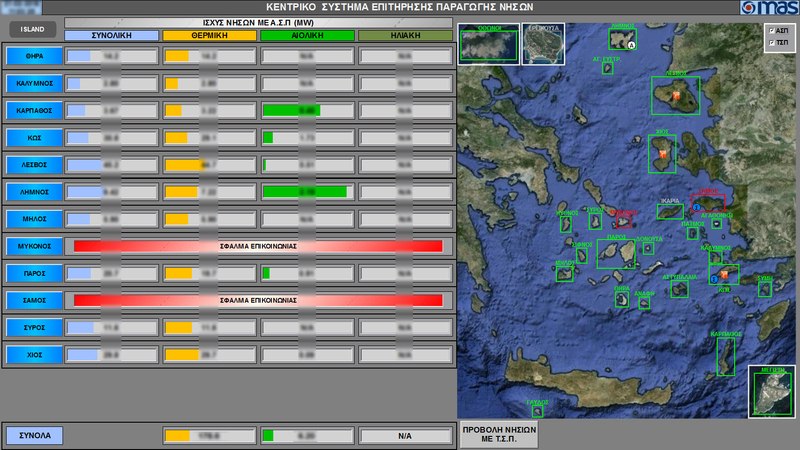 Through that system the central control offices in Athens monitor live all activities and use the extended data analysis capabilities to provide correct instructions to the local staff for better, more efficient and economical operation. Operate with 30% less staff and in understaffed conditions. Increase operational efficiency by changing operational parameters. Decrease operational costs by correct unit scheduling lowering spinning reserves. Do in-depth fault analysis before committing technical teams. Monitor & control in real time small un-maned stations.